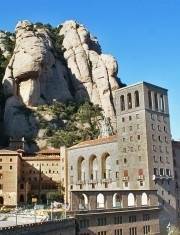 Montserrat is the most important mountain in Catalonia. A unique massif, famous for its gothic shapes, beautiful views, The mountain is known as the symbol of the catalan people identity. All the day through, as our groups are maximum for 15 people, you feel local for one day. On the way to Montserrat, our guides introduce you to this “magic mountain” where Mother Nature meets religion, history and the identity of the Catalans. Enjoy the stunning landscape of this Natural Park. 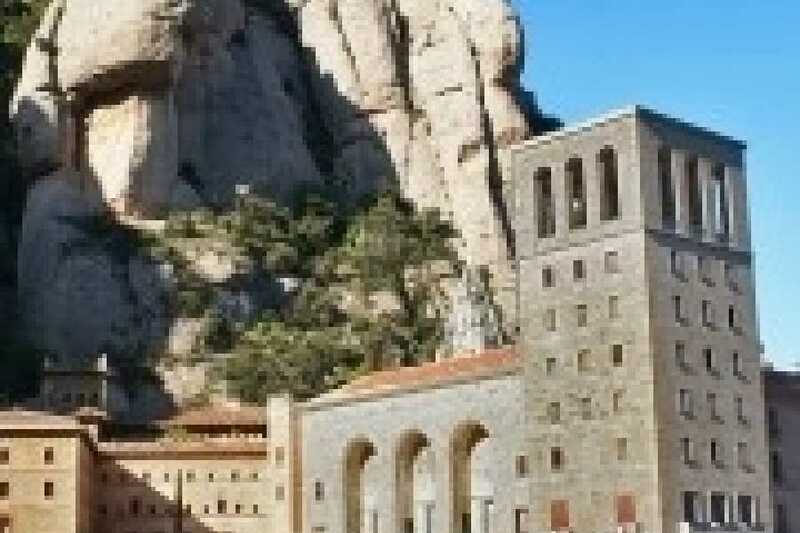 The guided tour includes a short walk to the monastery where you can enjoy the spectacular views and get a true feel of spirituality Montserrat has to offer. After Montserrat, we head the to the Oller del Mas Castle, just a few minutes away from Montserrat, one of the most important and beautiful wineries in the region. Located in an impressive castle dating over a thousand years old, some of the walls are from 964 A.D. (X century), the winery reigns over 1000 acres of land with a golf course open to the public. In the clubhouse restaurant, you will be served with an exquisite selected menu, favorites of the region topped with wines produced organically from the vineyard. Get your swimming suit as there is a pool for a little extra! In the afternoon, our expert enologists will guide you to visit the cellar and take you through the vines for a beautiful walk. You will learn how the wine is made and you will discover all its secrets. And then a castle just for us! And, of course, for the family, if they are around. We also visit the “treasures room” where the Oller del Mas chateaux wines become older and wiser. And then we will just sit, close our eyes and enjoy the wonderful miracle of the various wines offered… tasting the history, soil, climate and everything else that makes Oller del Mas Castle so special. Daily departures all year around. Walk along the “magic mountain” where nature, religion, history, and the identity of the Catalans collide.